If you’ve ever worked in the marketing industry then you already have an idea of how crazy it can be. From the tedious stage of planning, strategising and racking your brain for ideas never done before, to the long cycle of executing, presenting and revising your deliverables, these are the things that we just have to deal with on a daily basis. It’s the nature of the beast. Luckily for us, however, we don’t work for just any ordinary agency. We’re Hashtaggers and we fight fire with fire – that is to say, we counter crazy workloads with even crazier after hour activities. Hence, we have Hashtag After Dark. Working on social media has its benefits. For one thing, most of them already have entertaining apps built in, so you can take a few minutes at the end of the day to de-stress when you need to. 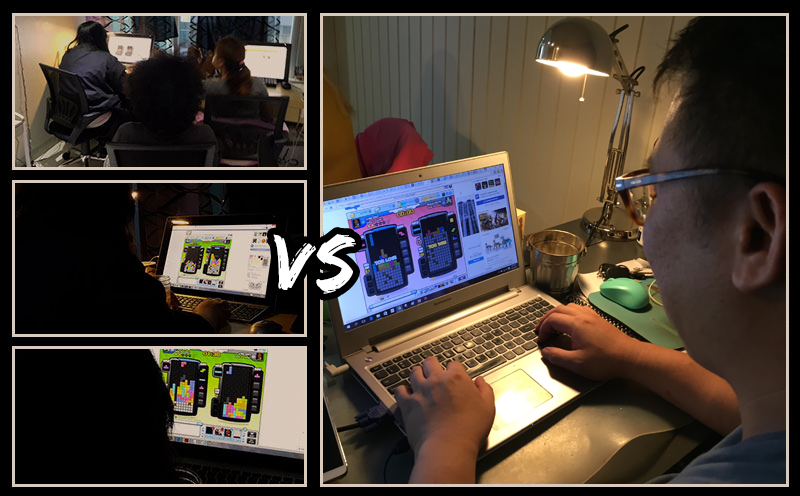 Instead of trying to unwind, however, two people in our office (in particular, our Digital Design Mon and Managing Partner Vince) prefer to use their down time to perfect one skill, strategically placing several digital multi-colored blocks, one after the other. Since they’ve gotten on the Tetris Battle bandwagon, the rest of us in the team wanted to know which one of them really has tetrising down-pat. Enter: #EpicTetrisBattle! Every few weeks a challenge will be served, then the lines will be drawn and an all out tetris brawl between two masters ensues. Vince puts up a good fight, but Mon has been our reigning Tetris Overlord for the last couple of weeks. Though Hashtag is split in two different countries, we never really felt like we were working with a team a hundred miles away. This is because we see and interact with each other every single day thanks to our Hashtag Window, a giant live feed LCD monitor that acts as a portal connecting our Singapore and Manila offices providing the illusion that we are all in the same room. Except, of course, when we experience the occasional glitch, such as the time when we lost audio. What do creative people do when they experience technical errors? They roll with it, and have fun. That’s why in true Hashtag fashion, instead of writing down what we needed to tell the team from the other side or sending them a direct message we had the bright idea of acting the message out charades style. Sure the error could have been fixed in just a few seconds, but where was the fun in that? What started off more as a joke between the teams ended up into a full blown event as everyone started getting into it. The game extended far after hours, before we decided to call it a night. Having a Hashtag Window has other benefits, too. 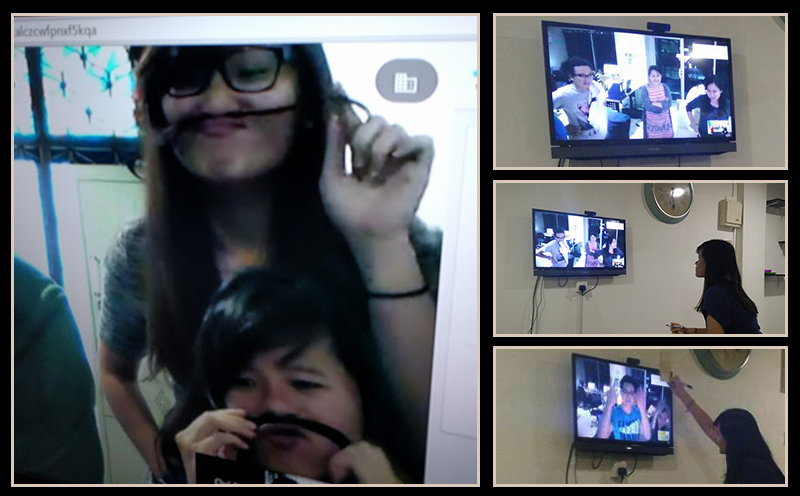 Aside from helping the team communicate, it also helps in building team cohesion because we get to use the monitor for #AfterHourMovieNights. 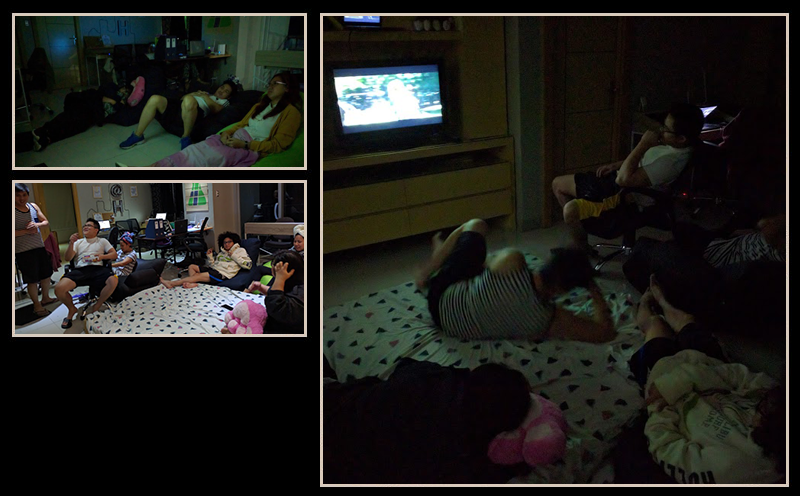 It’s become a weekly tradition for us to watch a movie on Friday nights and for some reason the team always picks a horror movie. Sadly, however, we have yet to find a movie that can truly get under our skins and in fact we may never find one that can scare us. It’s not that the movies we watch aren’t terrifying, but more because Hashtaggers are a witty bunch who, more often than not, will find some comment or quip to diffuse even the most horrifying scenes. 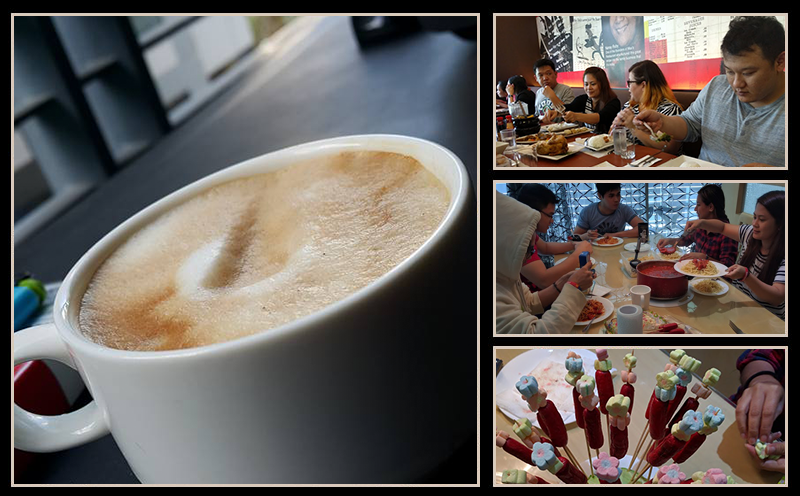 Food plays a huge part in both the Manila and Singapore offices. It give us the energy and brain power to dish out some truly amazing digital strategies, social media campaigns and artwork. While this really isn’t an after hour activity, cooking and eating are things that we enjoy throughout our shift until well past the end of the day so it still technically counts. Whether we’re cooking meals in the office kitchen or we decide to head out for lunch, the fact is, Hashtaggers lust for food. We’ve created songs about our penchant for pastries, we’ve danced with a passion for salted egg treats and we’ve raved about designer brewed Hashtag Coffee. This is all thanks to our team, who, as we soon found out, consisted not only of digital geniuses but also of highly skilled gastronomic masters. We have bakers, self-taught chefs and coffee brewers that will give cafes a run for their money. Don’t believe us? Drop us a line here and maybe we could talk about your project over some delicious snacks. Yes, working in the digital marketing industry is a crazy fast-paced, adrenaline-packed thrill ride that can tire out even the most ardent workaholic. But, as long as you’re doing what you love, and you’re working with a team who are as much family as they are colleagues, you’ll soon find working long hours isn’t so bad. In fact, you might find yourself looking forward to some craziness during Hashtag After Dark.